Sandra Abdallah knows firsthand the life-changing power of REVOLISM® Wellness & Weight Loss. As an executive assistant at REVOLISM’s Chantilly, Virginia, headquarters, Sandra has been on the ground floor of the emerging customer-focused brand juggling multiple roles, including fielding a constant flurry of franchise sales calls. The 30-year-old also has a personal connection to the revolutionary program, based on the science of The Metabolic Code and previously only available through doctors. 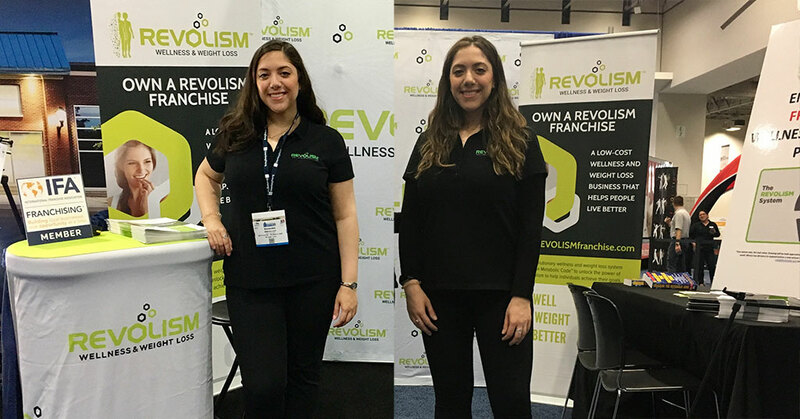 REVOLISM, the exclusive licensee of the Metabolic Code, recently launched franchising and consumer delivery of the wellness and weight loss system that uses the power of the metabolism to uncover why people can’t lose weight. The success of REVOLISM lies in its reliance on the Metabolic Code and the high quality customized supplements created to address each person’s deficiencies that the code reveals. The program uses a proprietary metabolic wellness assessment that combines a comprehensive health and lifestyle history, in-depth laboratory analysis, and biometrics to create a user-friendly report and action plan designed to find and fix weaknesses in the body’s metabolic makeup and restore vitality for people of any age. For someone who had always considered herself in good health, Sandra was “somewhat jarred” by her initial wellness assessment results. Predictive Vitality Wellness Indicators uncovered from Sandra’s assessment flagged a few low and moderate risk indicators and, most surprising, a high-risk indicator for cardio health. Sandra credits the ease of the program – supplements are shipped directly to the home, with tips and resources provided daily and weekly via email or through the REVOLISM app – for supporting the rapid transformation of her health picture. Along the way, she learned more about what types of food to eat and established “good small habits in preparation, organization, and time management.” Prior to REVOLISM, Sandra always felt tired and lacked the desire to try new activities because she doubted her own abilities. These days, Sandra includes exercise and movement whenever and however she gets a chance. She also feels more confident, motivated, and energetic. With her weight loss target near, Sandra will soon transition to REVOLISM’S wellness plan and is set to pursue her passion to help others achieve their health and wellness goals. She recently took on the additional role of REVOLISM Wellness Coach, trained and certified by George Washington University School of Medicine and Health Sciences.